Can I cast my screen using my Moto E (4th Gen Plus)? If you have a Smart TV, connect directly to your TV. Otherwise, attach a casting devivce, like Chromecast or others, to your TV. 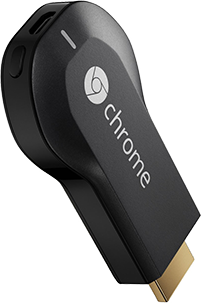 Chromecast works with many apps to cast videos, music and other media to your TV. You can also use the free Chromecast app to cast your phone's screen to your TV; visit Play Store to install it. Make sure your phone and TV or casting device are connected to the same Wi-Fi network. If you’re using a VPN and are having trouble casting, turn off the VPN and try again. Drag down on the casting notification and touch Disconnect. If you have a Cast icon in quick settings, touch it, then touch X.